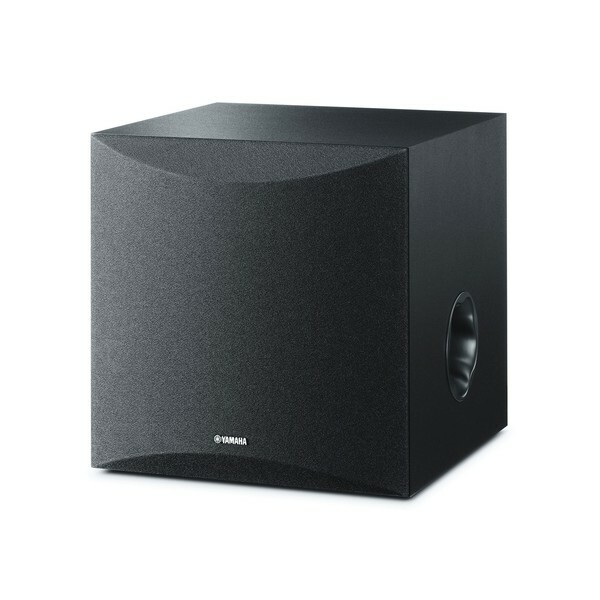 The Yamaha KS-SW100 Keyboard Subwoofer makes use of some of Yamaha's most advanced bass technology. This high-performance technology includes a Twisted Flare Port and Advanced YST II Technology for an outstanding bass response. The KS-SW100 produces a natural, clear and tight sound. This subwoofer is ideal for any rehearsal space through to live venues so any gigging musician would have a high quality sound with an attractive appearance. Yamaha's new Twisted Flare Port creates a smooth air flow, resulting in a clear, pure sound that players will love. By having a smooth flow of air, it reduces added noise that isn't present in the original input signal, producing an accurate low frequency reproduction. Whether you're at home writing soundtracks or in the atmospheric environment of a live venue, players will be able to hear bass that is pure, clear, and extremely genuine. Advanced YST II Technology was evolved by Yamaha. The technology combines negative-impedance and constant-current which drives the speaker cone with an incredibly tight control. 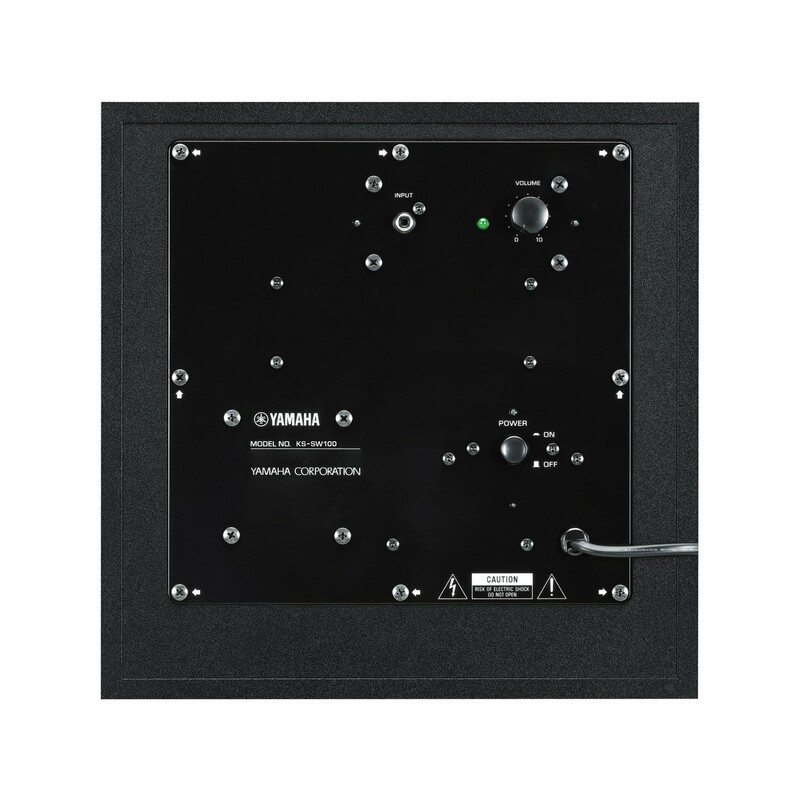 By using ANIC circuits (Advanced Negative Impedance Converter), the sophisticated system is able to project a more stable and accurate low response and a premium sound quality. The Yamaha KS-SW100 not only provides a superb sound quality and construction, but also is beautifully designed, and offers an aesthetically pleasing experience to match. The sleek and curvaceous front has been gently rounded, with a slanted surface, for a beautifully elegant appearance that will fit well in the home and stage environment.